In Italy, table football is really taken as a sport as things are taken seriously. 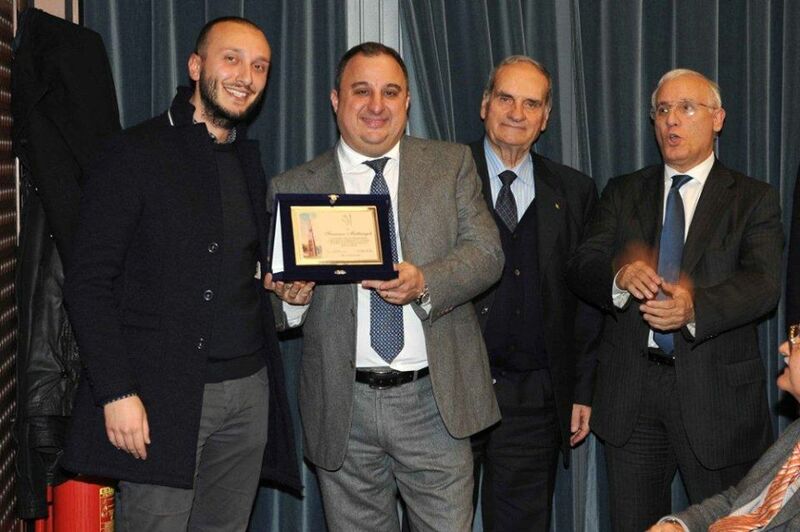 Francesco Mattiangeli has received a trophy from his city of Terni for the image shown abroad. Francesco became world champion in the veterans category. Congratulations to him. This entry was posted in Player News and tagged Italy, Promotion. Bookmark the permalink.